Digital Culture & Society is a refereed, international journal, fostering discussion about the ways in which digital technologies, platforms and applications reconfigure daily lives and practices. It offers a forum for inquiries into digital media theory, methodologies, and socio-technological developments. 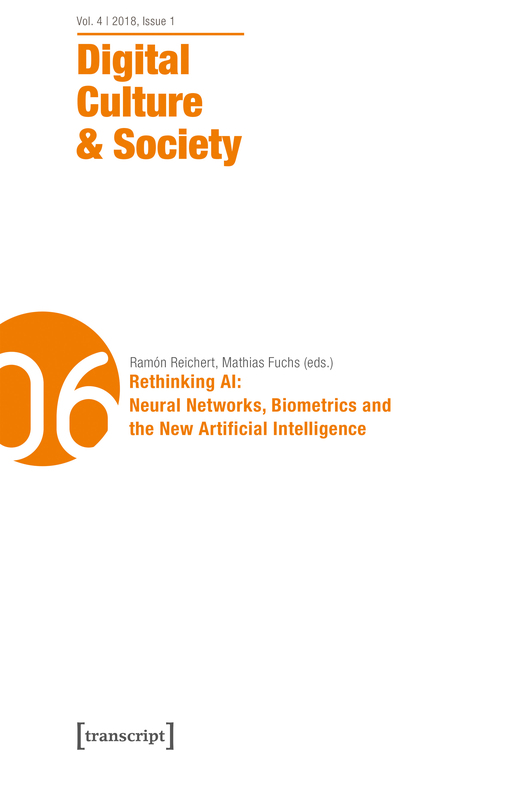 This issue shows: The meaning of AI has undergone drastic changes during the last 60 years of AI discourse(s). What we talk about when saying AI is not what it meant in 1958, when John McCarthy, Marvin Minsky and their colleagues started using the term. Biological information processing is now firmly embedded in commercial applications like the intelligent personal Google Assistant, Facebook's facial recognition algorithm, Deep Face, Amazon's device Alexa or Apple's software feature Siri to mention just a few.